Take a trip to ‘Oblivia’ with Katy Perry. It’s a place filled with fun and surprises! Katy Perry fans, hold on tight and get ready to take a trip that you will never forget. After dropping her new song, ‘Chained to the Rhythm’ featuring Skip Marley, fans everywhere have been waiting patiently to check out the new music video. Well, the wait is now over! The music video was shot over three days. 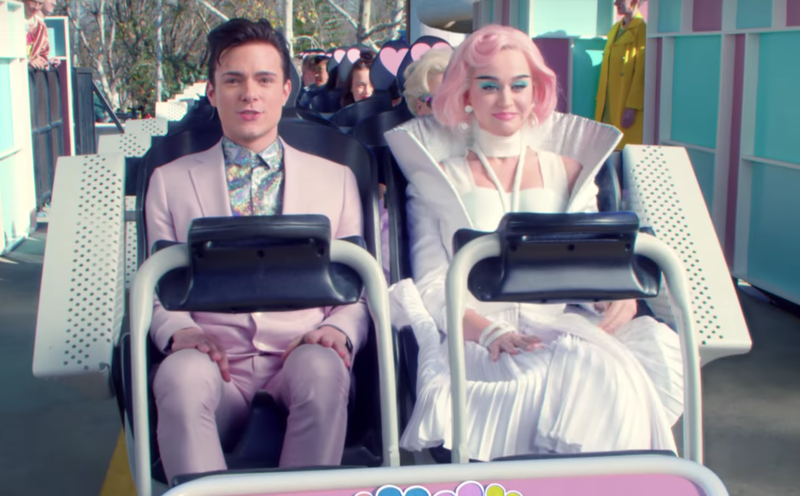 Katy takes viewers on a magical tour to ‘Oblivia’, which is an amusement park filled with loads of fun, entertainment, pastel colours, and even a rollercoaster. Wow!